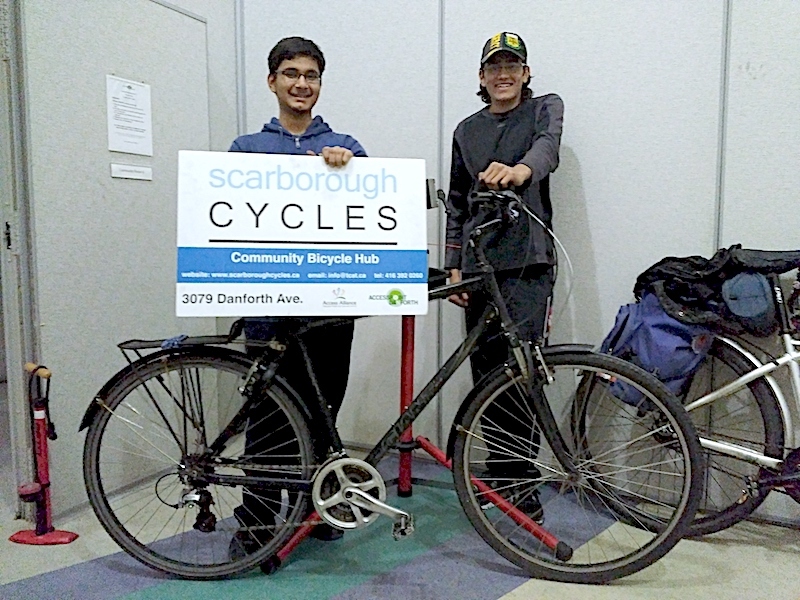 Last month, Scarborough Cycles launched a new Earn Your Bike pilot program with support from our hub partner, AccessPoint on Danforth. The program represents another first of its kind for Toronto’s east end. The 8-week program allows newcomer youth to earn and build a bike through volunteerism. Participants will build two bikes, one for themselves and another to be used for Bike Hub programming. Participants learn bike mechanic skills, how to ride safely in the city, and will be supporting the local community through different activities with the completion of a minimum of 24 volunteer hours at the Bike Hub.